Videos have now become the centre of Twitter, much like other social media platforms. So much so that video content on Twitter has grown over 220 times. With the introduction of GIFs, autoplay, and Periscope, it has now become much easier for users to create engaging videos. … and brands around the world are taking full advantage of that fact. In this article, we will discuss Twitter Video best practices for brands and startups and how you can take advantage of this huge trend. Why Video Marketing Is So Important Now!! Video ads do better with an average click through rate of 1.84% which is the highest of any ad format. While Twitter was initially created as a 140 character limit microblogging platform, a lot has changed over the years. Now users can share pictures, GIFs, and of course videos. Twitter users have come to love videos with over 82% of them actively watching videos on it. In fact, Twitter video posts get higher engagement as well with 2.5 times more replies, 2.8 times more retweets, and 1.9 times more favourites. With Twitter’s latest update, videos autoplay on the user’s timeline which means as users scroll down their feed, they will see your videos play out. That is one of the reasons why native videos on Twitter do much better than others. You can either shoot a video directly through the Twitter mobile app or upload one. ….. and you can now have 140 seconds of video per tweet so there is plenty of time to tell your story and build that all important engagement with your audience. Twitter’s livestreaming app, Periscope, allows users to share videos in real-time. While you have to use the Periscope app for it, you can share your live video link on Twitter and your followers can see your live video from their Twitter app only. It’s a great way to take your followers behind the scenes or give them a sneak peak. GIFs have turned into a powerful way of marketing and is not just a fun way to respond. Brands now use GIFs to share insights and custom content in a more fun and engaging way. 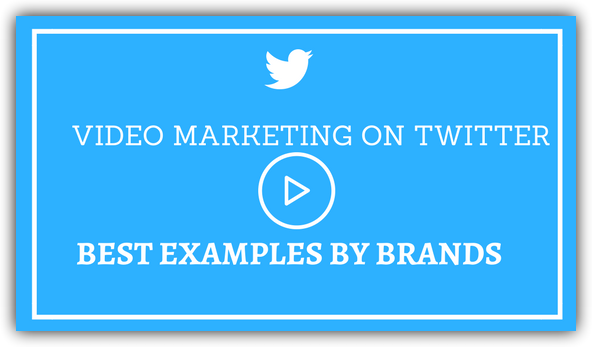 With small videos on Twitter, you can showcase your products in a more fun and creative way. Instead of making them as long as an advertisement, you can make the videos short (preferably 5 seconds) or convert them into GIFs so that more users can watch the whole video as they scroll through their timeline. For instance, Chobani regularly shares videos of their products and incorporate it with fruits and vegetables to showcase how healthy their products are. Starbucks too uses fun boomerang GIFs of their latest drinks with their followers. By showcasing their products in a rather creative way, brands get ahead of the usual and bland ads which customers now find boring and uninteresting. Another great way is to ask your followers to share their own videos with your products to get more user-generated content that will be both genuine and engaging for your followers. 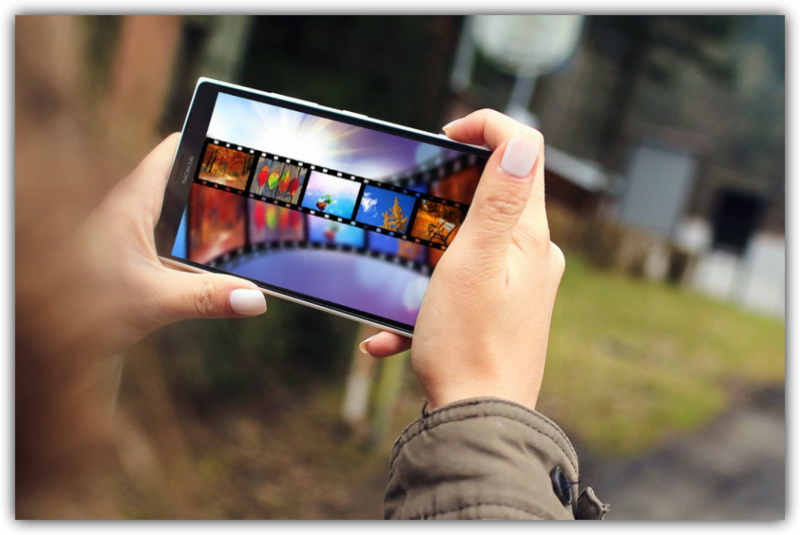 The best way to encourage users to do that is by sharing a video of your own first. For instance, Oreo held a biscuit dunking contest and asked users to share how they dunk oreos in their milk. Apart from sharing on their own Twitter handle, they also collaborated with a number of influencers to similar dunking videos. You can also announce offers and use videos on Twitter to share the products that are actually on sale. This allows users to quickly have a look at the products which in turn peaks their interest. Costa Coffee, for instance, was running a discount on their bacon rolls, and they made sure to use a video of their scrumptious burger along with a spinning coin to showcase how cheap the burger really is. Similarly, Zivame used a GIF to announce a 50% off sale on their website and also show the dedicated prices of different products. Our Most Wanted Styles Are Now on Flat 50% Off! Twitter videos are a great way to share teasers and snippets as they help build anticipation before the release. 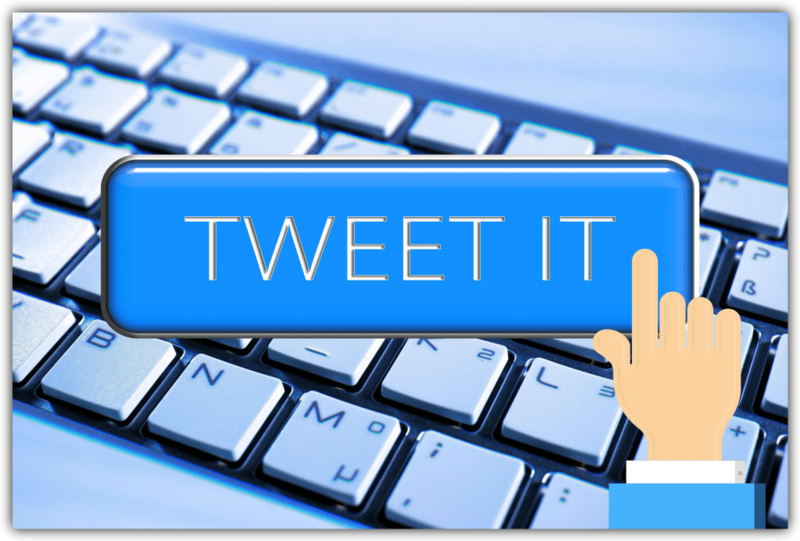 It gets people talking on social media as they retweet and reply to the teasers you share. The main intention behind this is to create more hype and get people excited way before the release. You can either choose to release a standard 30 second long teaser or a bunch of small 5-second videos to keep the users guessing. For instance, Netflix, the online streaming platform always releases trailers of exclusive shows on their Twitter account. In fact, Netflix also uses video content to announce the TV shows and movies that will be arriving in the coming month, instead of just sharing a large list with dates. This allows users to see a small snippet of the show and if they like it, they can quickly jot down the dates for the new released. On the other hand, if Netflix had just released a list with dates, many people would have to Google TV show/movies names and might not be able to discover new launches. By sharing videos about new product launches you can build a hype around the product and get people talking about it way before the release date. In fact, you can start sharing small GIFs about the product followed by more longer videos detailing the product as the launch date gets closer. A week before the release of Xbox E3, the company shared GIF of the product to build hype. They also shared a link where users could RSVP for the launch event and watch it online. As the days went by, Xbox continued to share videos with countdown to the release date and these posts got just as much traction. Just 3 days to go till the #XboxE3 briefing! Pokemon followed the same strategy on Twitter by announcing a release date along with a video of the game and a link where users could get more information. When your products are marketed by influencers, it automatically increases the brand value and the intent to share increases by 6%. But before the influencers share any videos, make sure that the connection between your brand and influencer is reinforced. Also, the influencers should have the same audience as your target audience for maximum traction. For instance, Calvin Klein has been continuously collaborating with influencers for their #mycalvins campaign. Every influencer post contains the campaign hashtag and a link back to Calvin Klein’s Twitter page. Similarly, Demi Lovato recently collaborated with Billboard Hot 100 Festival and she released an exclusive video on Twitter announcing that she will be giving away a number of festival tickets for free. Just like Calvin Klein, Lovato too shared the campaign hashtag and tagged the official festival Twitter handle. The tweet clearly got traction with 12k likes and 3.8k retweets. The brand’s hashtag in turn got much more engagement and impressions. To enter the contest and stand a chance to win VIP tickets, participants had to buy Herbal Essences products and upload receipt on the website link shared by Lovato. This directly meant more sales for the haircare brand. Periscope has allowed brands to take their followers backstage and show live videos of events, which they might have had to wait days for. Live streaming also helps brands get instant reaction from their followers and builds more hype around events. By using Periscope, brands are able to get more visibility and they are able to telecast the event to followers can’t be there to watch it live. Louis Vuitton, for instance, shared a livestream of their recent collection which was on the runway in Paris. To date the live stream has been watched over 300,000 viewers. With most people getting their news on Twitter, the news channels like Economic Times have also started live streaming their content for breaking news and live press conferences. Another great way to incorporate videos in your Twitter marketing strategy is by responding to any query tweets via a video. It can provide your brand a great opportunity to put your team at the forefront and it will also humanize you brand in more ways than you can imagine. Giving thanks is a global thing!! Just posting videos on Twitter is not enough, you should also analyze them to see how well they are doing with your followers and how much traction they are actually creating. The video completion rate which is the total number of complete video views per the total number of times the video played. It gives you a clear understanding of how many people ended up watching the entire video instead of just scrolling through it. To check these metrics, go to the Twitter Analytics page. On the top menu, click on More and go to the Videos option. If you will be posting a number of videos as part of a hashtag campaign, then to track each video tweet and to know what people are saying about the campaign, it’s best to track the entire hashtag with a tool like Socialert. Apart from analyzing the total impressions and reach of the hashtag, you can also see how each individual tweet is performing and how other people are using your hashtag. A social media marketing enthusiast, Pankaj is determined to shape his ideas into perfect products. CoFounder of Twitter Tracking Tool Socialert, he believes in coming up with engaging tools to redefine the face of digital marketing. Learn more about him on his blog.